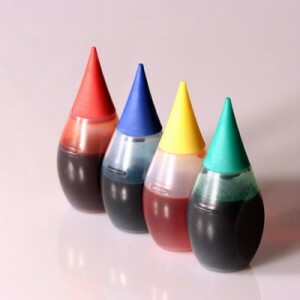 The U.S. Food & Drug Agency (FDA) is holding hearings over the next two days on artificial food coloring in our food supply and the effect it has on children with ADHD. They have asked for a panel of experts to present evidence of a link between these artificial dyes in food and ADHD in kids, with possible recommendations on policy changes like warning labels on food. Believe me, I’m pleased to see the attention it is getting which means more parents are learning about the harmful effects of artificial food colors. Here are the links to some of the mainstream media coverage of it. I am not holding my breath that the FDA will actually ban the dyes, in fact I know they won’t. Maybe a warning label, but I doubt it would be stern enough to draw any attention from unsuspecting consumers. Yes, I’m cynical when it comes to our FDA actually doing something that is good for us, the consumer. They lean more toward protecting the food and drug manufacturers that will put a lot of money against any initiative to ban or label their products with artificial dyes. After all, their future job security at these consumer packaged goods companies are at risk if they do their present job at the FDA correctly. Yes, the job exchange program between food and drug manufacturers and our FDA and CDC happens all the time…and it’s been going on for years. All that really needs to be done is have some of the high level decision makers at the FDA feed their kids a diet filled with these toxic food dyes for two days and monitor their behavior at home and school. Then take them completely off the dyes for a few days and see the dramatic difference. And it does not ONLY affect kids with “sensitivities” like some media outlets are reporting. You don’t have to have ADHD or autism to be affected by these dyes. Read my original post to learn more about them and how they are manufactured. I’m sure if food and drug manufacturers do have to put a disclaimer on their packaging we will see some really awful television ads renaming their artificial food dyes to something like “natural colorful additives”. You may think I’m being sarcastic, but have you heard how the Corn Refiners Association (corn farming industry) has renamed High Fructose Corn Syrup to “Corn Sugar”? And they even have the audacity to say that corn sugar is handled the same by your body as sugar or honey. HA! You can read just how our body processes that artificial sweetener in my post below. This deceptive marketing is tolerated by our FDA. Enough said. Apples, Bananas and Grapes, Oh My! One of my favorite childhood movies was The Wizard of Oz. It’s funny how my life has traveled down a path that feels like the yellow brick road. Searching for the Emerald City, all the while dodging flying monkeys, evading a wicked witch and meeting a talking scarecrow. 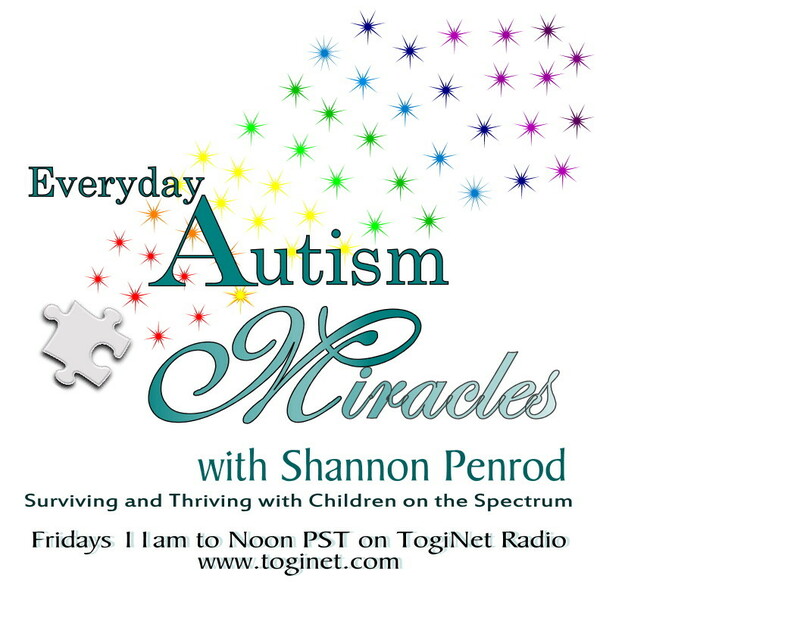 It seems a lot like our biomedical journey through autism. And what was in that picnic basket Dorothy carried with her? My son would have filled it with apples. Apples, applesauce, apple juice. Not that long ago, that was about the only fruit my son with autism would eat. Oh, and a banana every now and again. Orange juice is OK now. He LOVES grape juice and will eat an occasional grape. 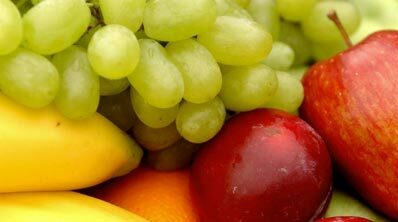 The problem is, these fruits are highly phenolic in nature. Makes him react like a hyperactive chipmunk on catnip! My older son will eat any fruit he can get his hands on, but does not react to phenols like my youngest. Not fair, I say. So I let my son with autism eat apples, bananas and grapes now. He takes a digestive enzyme to help him process it, called No-Phenol. I also give him Epsom salt baths each night to help his body detox the phenols. Ketchup, pasta sauce, pizza sauce. All phenolic and make him a crazed energizer bunny! But he sure does love those tomato based foods. So every time his meal has anything tomato based in it, he gets a No-Phenol enzyme. And all is good in the Allor house. We just went camping for five days. It was beautiful, fun-filled and great to be in the mountains. The only problem was I couldn’t give my son with autism his nightly Epsom salt bath. Without the baths, his emotion regulation gets a bit crazy and he gets weepy on me over the little things. I did bring our Epsom salts along and decided to soak his feet in a small tub before bed. That helps in a pinch. It’s not the same as a full body soak for 15 minutes, but it definitely helps his body detox. That yellow-brick road seems never-ending. We haven’t found the Emerald City yet so we can ask the Wizard just how to completely heal our son’s biochemical pathways. I’ll keep you posted on what I learn in my continued research. In the meantime, we’ll rely on No-Phenol and Epsom salts. One day, we’ll find our way home, and out of the land of Oz. Red Gatorade, Blue Jello, Purple Yogurt. What the __? What is the consumer packaged goods industry doing to our children? Better yet, do parents know what makes that yogurt neon purple, the Gatorade fire engine red, or the Jello bright blue? Do you know what is in your child’s junk, er, I mean snack food? I’m not even sure they should qualify as a food item. Junk food is an oxymoron; junk is not a food. Our bodies don’t require red dye #40 to function properly. Nor does it need high fructose corn syrup (HFCS) for energy. What ever happened to giving our children water when they are thirsty? Kids on the soccer field are panting, drenched in sweat, thirsty and refueling their bodies with Gatorade that contains red dye #40, blue #1, or yellow #5. Not to mention the HFCS, citric acid (aka MSG), and artificial flavors. I’ve heard it before, “my kid won’t drink water”. Well, it is boring and unflavored. But does everything a child consumes need to have a color and flavor added? My kids, given the choice, would choose a sugary drink like Capri Sun or a juice box over water (most of the time) when they want a drink. But when they open the refrigerator door at home, their only option is water. Juice is there, in a jug. But my seven-year-old said juice is only for breakfast. Today, he chose to drink water over juice with his eggs at breakfast. Sounds strange, I know. But our children don’t always make the right, healthy choice for themselves. So it is up to us parents to help them. And it’s increasingly hard to do that with all the unhealthy, popular options the consumer packaged food industry provides. So what is a parent to do? Well first off, try to shop alone, without your kids who have been bombarded with t.v. commercials touting the latest and greatest snack food. Here’s what I have done, and it works for us in our home. Thirsty? Only bring water in BPA free bottles. Kids will drink it, if they are thirsty enough. And once they get used to it, their thirst will only be quenched by water. Their body will crave it. Soda? Not in our house. Our “special treat” drink for my eleven-year-old is the Virgil’s Root Beer sold at Trader Joe’s. It uses natural spices and cane sugar. Another option is Izze Sparkling Juice drinks. They contain no refined sugars, caffeine, preservatives, artificial colors or flavors. These drinks are only bought as a special treat, once in a while. Not stocked in our fridge on a regular basis. Pop tarts? For those of you not on a GF/CF diet, and your kids can’t live without a Kellogg’s Pop Tart, try Nature’s Path Organic Toaster Pastries sold at Whole Foods, Trader Joe’s and your local grocer. Free of artificial colors and flavors! Snack chips? Well, no Doritos or Cheetos at our house. Too much MSG, artificial colors, flavors and preservatives. We buy Lay’s Potato chips. Plain, no added flavor (or colors). Trader Joe’s sells an alternative to Cheetos, called Cheese Puffs (not gf/cf). Sun Chips (also not gf/cf) original flavor are the only ones without artificial colors, flavors, preservatives and MSG. Yogurt? Please read the ingredient listing on any yogurt you buy in the grocery store. You’ll find numerous colors, artificial flavors and tons of (hidden) MSG. The worse offender is Trix yogurt with the artificial colors and flavors, but Dannon’s Danimals have a lot of hidden MSG. Better options are available at Trader Joe’s and Whole Foods. Chocolate syrup? Well, Hershey’s is made from high fructose corn syrup and has artificial flavor and preservatives. Nesquik Chocolate syrup has HFCS, artificial flavors, preservatives and colors. Trader Joe’s sells Midnight Moo that doesn’t contain HFCS or artificial ingredients. Whole Foods sells one that is gf/cf. Better yet, make your own with your own natural ingredients. Ketchup? Heinz contains HFCS and natural flavoring (where MSG hides). We use Trader Joe’s Organic Ketchup. Fruit Roll Ups? Try Stretch Island Fruit Co. fruit leathers, Florida Natural’s Fruit Juice Strings/Nuggets or Clif Kid Twisted Fruit Ropes. Breakfast Cereal? There are so many unhealthy brands in the grocery store. They are chock full of sugar, artificial colors, flavor and preservatives and hidden MSG. Our alternatives are Kellogg’s Crispix, EnviroKids Gorilla Munch (found at Trader Joe’s/Whole Foods) and Trader Joe’s Honey Nut O’s. Cookies? Bake my own with natural ingredients. We also will purchase Trader Joe’s All Natural Joe Joe’s. Just like Oreos, but without the artificial ingredients and HFCS. I know it may be less expensive, convenient and popular to buy the packaged foods available in our local grocery store. But what are you sacrificing to save that money, time and whining from your kids? Our children need us to play food cop and teach them the right choices so they can avoid obesity, diabetes, cancer and unnecessary hyperactivity. Ideally they are eating fresh fruits and vegetables, and good sources of protein. Right now, I’d settle to just see our generation of children eat better packaged food choices. And less of them. Artificial food coloring is evil. My kids became calmer, quieter and not so emotionally charged. Melt downs decreased. Sleep habits improved. And above all, I knew that I was improving the health of my children, which is a good thing. Yes, I do have to tell my kids NO to certain requests for food or candy their friends are eating, and at parties, or that dreaded artificial food colors and flavors/high fructose corn syrup holiday we celebrate, Halloween. Or I pay the price of crazy behavior if I cave in and “let them eat colorful cake”. So I got resourceful or creative, however you view it. I taught my oldest son (he was eight-years-old at the time) to read food labels and explained what additives are bad for our bodies. He actually learned to read the label before he asked if we could buy something. And I’d bite my lower lip whenever he picked up something I knew would have artificial ingredients in it and say “Shoot!” as he came across some artificial preservatives, colors or flavors. I let my kids trick-or-treat on Halloween. It’s one of their favorite holidays. They get to choose one piece of candy to eat and then we trade the bag for a new toy (Legos at my house). I buy candy treats that don’t have artificial ingredients. It definitely tastes better. If you are not already familiar with the numbers you see on food labels, here are the most common: FD&C Blue Nos. 1 and 2, FD&C Green No. 3, FD&C Red No. 3, FD&C Yellow Nos. 5 and 6, Citrus Red No. 2. And that lovely, ubiquitous Red No. 40 that can trigger such ugly behaviors in most kids. Red 40 is used in many food products including Kool-Aid, orange and other flavored sodas, Cheetos and Doritos chips (and the ever popular Flamin’ Hot Cheetos), strawberry Pop-Tarts, any candy with red coloring to it including M&M’s, Skittles, many chewing gums, etc. Also many children’s vitamins and pain relievers/cold medicine have red 40 in the ingredients. Why? Because if it’s colorful, our kids will want to eat it or take the medicine. Here is the biggest reason I think artificial (synthetic) food coloring is evil. Petroleum. 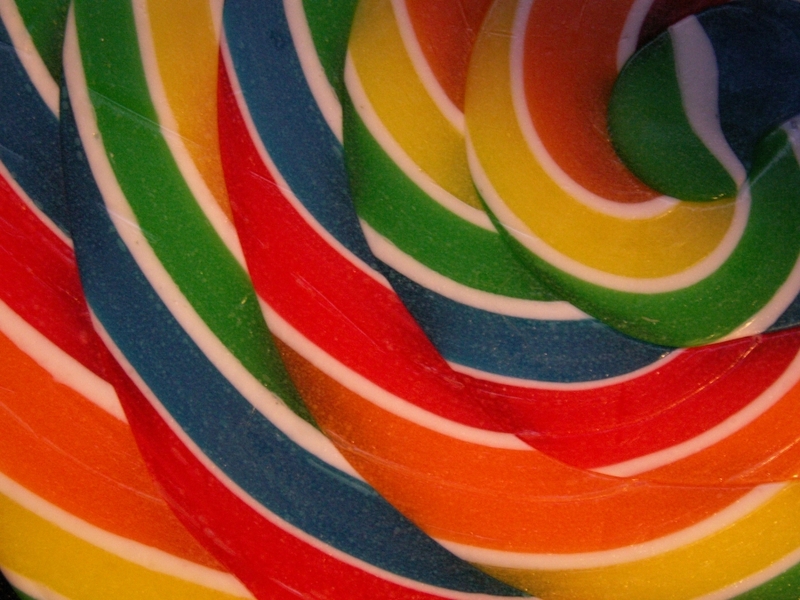 Yes, most synthetic food dyes are created from petroleum. The same base used to manufacture gasoline and heating fuels. And if that’s not enough to make you spit out that Skittle, FD&C Blue No. 2 is manufactured in a chemical process that includes formaldehyde, aniline, several hydrozides under ammonia pressure, and heating in the presences of sulfuric acid. Oh, don’t worry, each batch is tested to ensure it doesn’t exceed the FDA’s prescribed limits for impurities. Most impurities are in the forms of salts or acids, but others include lead, arsenic and mercury. Yikes! Aunt Jemima Blueberry Waffles contains no blueberries. The blue “bits” are Red 40 and Blue 2. Kellogg’s Frosted Mini Wheats Blueberry Muffin has no real blueberries. Their “blueberry crunchies” are made with corn syrup, hydrogenated oils, artificial flavors and the colorful combo of Blue 2 and Red 40. Kraft’s Guacamole Dip doesn’t get its greenish color from actual avocados. It gets it from the dye combo of Yellow 5 & 6 and Blue 1. U.K. M&M’s and Skittles have natural food dyes in them. The ones with the bright colors made with artificial dyes are sold in the U.S. Ours are prettier and brighter because natural dyes don’t have that artificial bright pigment you can obtain with a petro base. Don’t you feel special? Thanks to our FDA! There are alternatives to foods and candy without dyes. And a great source is the Feingold Association. They have a shopping list of foods without these dyes listed by category and manufacturer. Their website is http://www.feingold.org/.